Ultimate Ears has recently introduced a bold new portable wireless speaker to replace its cheeky little $100 UE Mini Boom that is supposedly the company's "most adventure-seeking speaker yet". The UE Roll as it's called is a small, spherically-shaped and ultra-compact portable Bluetooth speaker that blasts beats in a full 360-degrees and is designed to be used in all sorts of tasking environments thanks to its durable, shock/drop-resistant and IPX7-rated waterproof construction – including its ability to attach onto almost anything using a built-in marine-grade bungee cord feature. In other words this is a miniature UE Boom waiting to be tossed around and played with. The UE Roll borrows a lot from its larger and more expensive brother – the UE Boom, but the question is how does it stack up in the real world? More importantly, is the UE Roll an improved UE Mini Boom successor at $100? Let's find out! But first we must start at the very beginning: the packaging and unboxing...obviously. 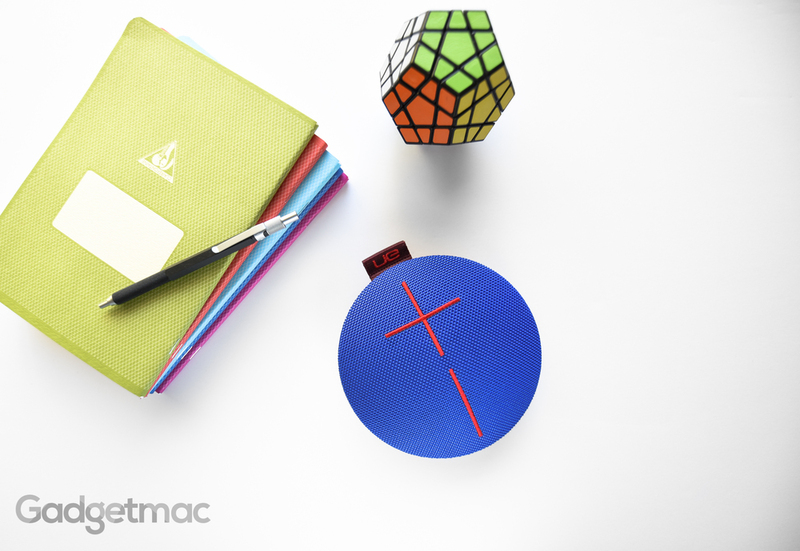 We've always really enjoyed the unique approach Ultimate Ears has taken to package it's portable speakers, and although this time the packaging isn't as impressively done as the solid capsule tubes of the UE Boom and Megaboom, it's radically more rewarding. Or at least some of you may think so. That's because the UE Roll comes wrapped in a recyclable origami-like poster paper supposedly engineered by an expert origamist, which you can put up immediately after you've unboxed it. 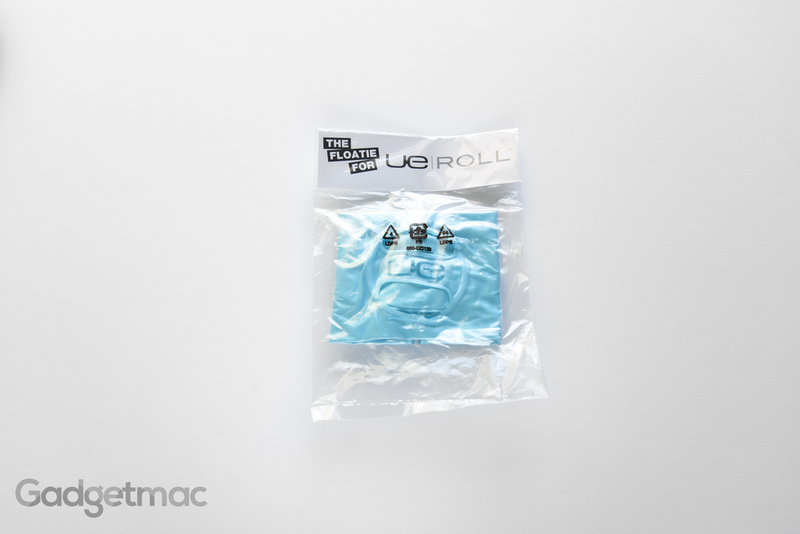 Each UE Roll has its own unique colored poster art printed on the inside of what may seem like makeshift packaging. This is the first time we're seeing such a creative approach to designing a product package, albeit one that you probably couldn't reuse should you want to sell your UE Roll at a later date. Inside the "box" you'll find a micro-USB charging cable and nothing else. Charging this speaker will take around 5-6 hours using standard USB output from a computer. Sadly a wall adapter isn't included, but if you use your own then you could charge the UE Roll even faster. You can't expect tremendously long battery life, but you'll be happy to know that the UE Roll will last as long as 9 hours if used at moderate volume. What's also included with all initial orders of the UE Roll purchased directly from Ultimate Ears is this inflatable pool floatie - an awesome accessory that keeps the UE Roll afloat when put on water. While it would have been a great little added feature we would have loved to see included in the box, Ultimate Ears isn't planning on doing so nor will it be selling it separately after supplies run out. This isn't the company's first round speaker, but it definitely is the first giant M&M's-like one and we actually do quite like it as it also serves a functional purpose when it comes to sound and portability. The material design of the UE Roll is consistent with the whole UE lineup and retains that modern styling and use of durable materials such as rubber and a highly resilient nylon fabric mesh. The UE Roll's exterior build quality is fantastic and feels solid in the hand. On the top half portion of the speaker is this plasma-coated acoustic mesh that's waterproof, resists dirt and stains. Again, it's exactly the same material used on the UE Boom and Megaboom and it feels very durable. Since this is an IPX7-rated waterproof speaker, this means that you can dunk this under water up to 3ft (1m) for as long as 30 minutes. The other half of the UE Roll is made up of shock-absorbing rubber to give the speaker it's rugged durability as well as a pleasant refined finish. This is the same type of rubber used on all of Ultimate Ears' speakers including the UE Mini Boom and we really like that this type of construction because it's practical and it also looks great. As far as on-board controls go, the UE Roll has two distinct and seamlessly integrated volume controls on the top made to look like oversized plus and minus symbols, which can only be pressed towards the middle similar to the UE Boom and Megaboom. Pressing both buttons simultaneously will reveal the battery status in which a realistic audible voice prompt will announce the battery percentage remaining. If you’ve ever used an Ultimate Ears speaker you’ll recognize this pleasing female voice as it has been consistently used across all of the company’s speakers. English is set by default, but you can also change the voice prompt language using the UE Roll app for iOS and Android. It’s also worth noting that you cannot use these buttons to pause or skip your music unfortunately. There isn’t even a dedicated speakerphone button to answer an incoming call because the UE Roll doesn’t have speakerphone and mic support. 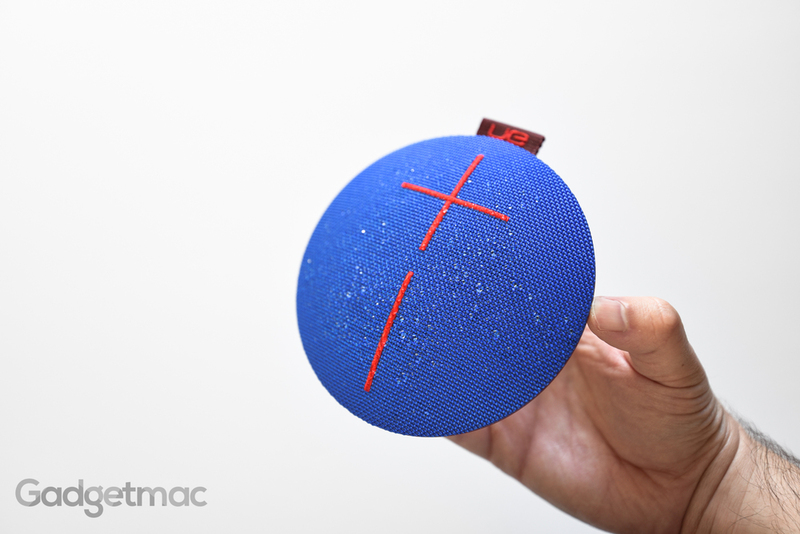 The multi-funtion Bluetooth button used on the UE Mini Boom, UE Boom and UE Megaboom to take and make a call is located on the back of the UE Roll and is only meant to be used to pair the speaker with other devices. It's also worth mentioning that the UE Roll is available in multiple colors and even more colorful abstract styles just like the UE Boom is, so there's a little something for everyone. This particular unit we're reviewing is the "Atmosphere" colorway featuring a blue base, red volume accents and a plum colored rubber back with a deep red colored bungee cord - which I think we can all agree should be renamed to the Spider-Man. Here's what the UE Roll looks like next to an iPhone 6 as a size comparison. Yeah, it's that compact. It's pretty much the size of a Blu-ray disc...width-size of course, and about one and half inches at its thickest point. The back side is home to LED-illuminated power and Bluetooth buttons which are seamlessly integrated into the smooth rubber layer, however, don't provide a very tactile feed when pressed. It's also where you'll find one of the UE Rolls prominent feature – a marine-grade bungee strap. This is one beautifully integrated bungee cord system using one of the nicest, heavy-duty bungee cords we’ve seen yet. This can be used to attach the speaker into numerous things such as your bike, backpack, and whatever else you think of would make for a good place to hang a speaker off of. It's actually pretty secure and is held in place with a strong tension over the top tab. I wouldn't completely trust in it to be held secure at all times, especially when you're roughing it. Always make sure to check that it hasn't fallen off when you weren't looking during a mountain bike tripe over a bumpy terrain for example. In other words it isn't as secure as a carabiner clip. As far as I/O is concerned, the UE Roll has two ports on the back which are protected by a rubber flap that keeps dirt and water out. And even if you forget to seal it up tightly, you won't have to worry about the ports getting damaged from water since they're actually waterproof connectors. There's a micro-USB port for charging the speaker as well as a standard 3.5mm audio auxiliary input that you can use to connect the UE Roll to any audio source that doesn't support Bluetooth. Speaking of Bluetooth, the UE Roll has an impressively long wireless range of up to 65ft/20m. 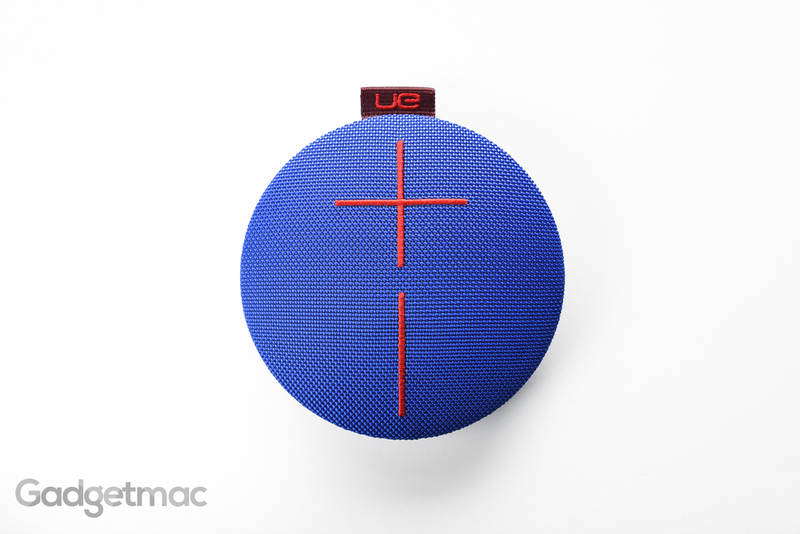 In addition, you can also pair it to another UE Roll, or any other Ultimate Ears speakers (UE Boom or Megaboom) using the Double Up feature to simultaneously stream audio to both speakers from your smartphone or tablet. This is a wonderful option if you have access to more than one speaker and would like to enjoy an even more immersive audio experience. The UE Roll’s spherical shape was designed to be used much like a conference speakerphone in that it’s meant to sit flat on its back while the speaker drivers point straight up, which is ideal for distributing sound at all directions - hence the UE Roll’s 360-degree sound capability. You cannot stand it upright due to its inherit form factor, but you’ll find that it does its job fantastically well sitting flat like this as it is meant to be used. The sound isn’t as rich as you would be lead to believe. The UE Roll is described by its maker as a speaker that can wow you with its crisp loud audio and its incredible beat busting, deep bass. It’s without a doubt clean and as clear as you can ask for, but the UE Roll’s sound signature is heavy on treble and...well, light on bass. Not as balanced and full as the UE Boom or Megaboom, but again you must take the UE Roll’s ultra-compact size to consideration, which is also its weakness. Let’s be realistic. The UE Roll isn’t going to deliver thumping, richly impressive audio quality, but for its size, it does output convincingly great sound at every direction. The audio is indeed very loud and can overwhelm you at high volume when used indoors, vocals sound brilliant and the mids are acceptably forward sounding with enough separation to give your music a pleasing layer of depth. And again, the bass is shallow but not terribly so. Not that we expected that much out of the UE Roll since after all it's such a slim and ultra-portable speaker there wouldn't be any way that it could possibly sound as thumpy as some other units namely the Denon Envaya Mini and the UE Boom. That said, what you are getting with the UE Roll is prestige vocal clarity that's generally preserved all throughout the volume scale - which to say the least is very powerful and loud. But still, we think that the UE Roll sounds best when used indoors, more specifically in a room. As much as we like the idea of floating this thing out in the pool, it simply doesn't have enough audio power to satisfy when used in noisy public outdoor spaces. That doesn't mean you can't still use it outside it's just that there are better alternatives out there that are best suited for the job - the UE Megaboom. While the UE Mini Boom (left) has a tiny bit more bass, it unfortunately does have a more muddy midrange and vocals don't sound as bright as they do on the UE Roll. Overall the UE Mini Boom isn't as clear sounding as the UE Roll and starts to lose most of its quality at higher volume whereas the UE Roll simply sounds brilliant at any volume level. 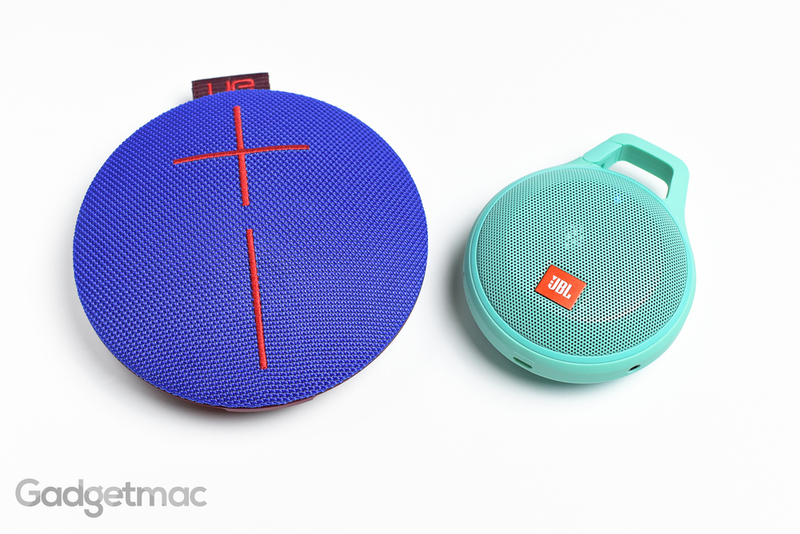 What features the UE Mini Boom had, the UE Roll lacks like speakerphone and NFC. But it more than well makes up for them with arguably more useful features like 360-degree audio and a more rugged build quality that’s shock-resistant and waterproof. It also has one hour less of battery life compared to the UE Mini Boom, most likely due to its slimmer design. It’s got a very similar speaker driver overlay found in the UE Mini Boom which includes a total of 3 smallish drivers: a 2-inch driver and two 3/4-inch tweeters. The difference being that the UE Roll features a slightly larger driver for bass than the 1.5-inch radiator found inside the UE Mini Boom, which enables the UE Roll to achieve cleaner bass at a lower frequency range without distorting as much. But that’s still isn’t enough to deliver an impactful, deep bass response. Then again this is a very compact portable speaker so we can forgive it. There's really no comparison when putting the UE Roll up against its bigger brother - the UE Boom (left). It has a more defined, louder audio quality with actual bass that's noticeably thumpy. At $200 you're obviously getting more for your money, sound quality and battery life wise. And it's not like the UE Boom is a much bigger portable speaker thanks to its water bottle / tall energy drink form factor. With that being said, it isn't like that the UE Boom makes the UE Roll sound bad, because it doesn't. Not at all. The UE Roll holds its own really nicely sitting next to this more expensive and tricked-out device. And that's because both share the same level of audio clarity and immersive 360-degree audio dispersion that we highly value when it comes to wireless portable speakers. Both offer really good audio performance, you just need to pick the one that fits your needs - and you should start by looking at the price and portability/usage scenarios before considering audio quality. I can say that I personally wouldn't be disappointed paying $100 for the UE Roll. JBL has been killing it lately with its portable speaker lineup and the Clip+ is another noteworthy competitor to the UE Roll thanks to its ultra-portable form factor, splash proof design, a built-in carabiner clip and surpassingly enough, a 360-degree audio output. The original JBL Clip’s small but hugely impressive audio performance easily rivaled many of its competitors. So we were curious as to how the new and improved, much smaller Clip+ would stack up against the UE Roll. As expected, there’s just a little more definition in the UE Roll. It’s got a bit more bass and it’s also louder sounding. But considering the Clip+ only has one 40mm driver to work with (essentially a mono-speaker vs stereo), it remarkably comes very close to sounding as good as the UE Roll. The Clip+ does lack midrange and low-end detail (doubtful if many will even notice without directly comparing the two), but if you’re just looking for a very affordable and ultra-compact Bluetooth speaker, the Clip+ is a fantastic choice at just $50. Both speakers deliver incredible high-end clarity. 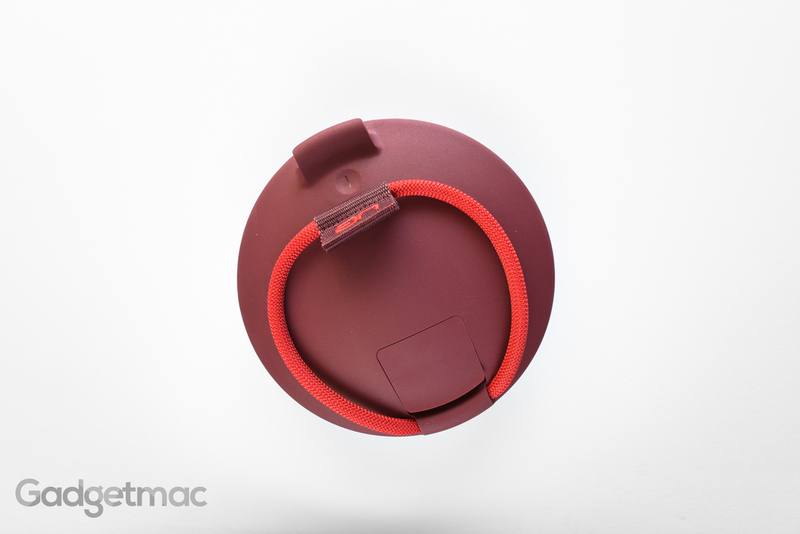 And while you cannot wirelessly pair two Clip+ speakers together for stereo sound like you could using the UE Roll or JBL’s Flip 3 speaker, you can physically connect two using the built-in audio cable - also known as daisy chaining. The UE Roll companion app for iOS and Android is exactly the same across all of UE's portable speaker offerings in that you can use it to remotely turn on your speaker from far away, check the remaining battery life, double up two speakers, set an alarm to wake you up using the speaker itself using your specified music, update firmware, and adjust and change the EQ settings. Once again we didn't find that adjusting the EQ made any real difference in the sound signature, not even in bass response. Ultimate Ears' Double Up feature still manages to impress us to this day. It's unlike anything else we've experienced using other portable wireless speaker at this price range. The two speakers no matter the model, synchronize in perfect harmony and their volume can be adjusted using your smartphone or tablet. This is a seriously amazing mode that makes picking up a pair of UE Rolls, UE Boom/Megaboom or any one combination a worthwhile investment that will bring a hugely and wireless immersive, "surround" sound experience to your home or party without having to settle for non-portable and versatile alternative such as Sonos. Note that if you want to set two speakers in a true stereo configuration via the Double Up mode, you are going to need to use two identical models. So mixing different models such as the UE Roll and a UE Boom will only extend your audio through both speakers identically instead of a dedicated left and right channels. Ultimate Ears says that it's because each model has its own sound signature and thus will not offer the best audio experience in Stereo mode. It's honestly quite remarkable what Ultimate Ears was able to achieve with the UE Roll. Such a slim and low-profiled speaker that's completely waterproof, drop-resistant, can hand deliver brilliantly clear audio to everyone around it, attach to all kinds of things, and last all day long no matter what the weather conditions are. Ultimate Ears may have replaced the UE Mini Boom with this charming life-resistant speaker, but it hasn’t set the bar much higher than it has a few years ago. The UE Roll isn’t a drastically better sounding model at $100 after all. It still has tiny drivers that barely deliver a rich and warm sounding performance in comparison. Though it is a cleaner, clearer sounding speaker with improved features like 360-degree sound and a much more versatile exterior design. We’re still waiting for the UE Mini Boom 2 to hopefully blow us away (if that ever happens), but until then, the UE Roll is the better choice if you’re not looking to spend more than $100 and like the idea of using such a compact yet capable portable Bluetooth speaker. Ultimate Ears now offers three 360-degree speakers for $100, $200 and $300 – each has its compromise and its own favorable leading edge. The UE Roll of course has the most compromises when it comes to overall sound quality. It's is a good portable speaker, good enough to recommend...just not a great one at $100. We can think of a couple worthy alternatives for you at the $100 - $150 price range if the UE Roll's lack of a low-end presence is a major downfall for you: Denon's Envaya Mini and JBL's newly released Flip 3. Alas, both don't offer 360-degree audio and cost a bit more than the UE Roll. Or better, yet go all out and go for JBL's Xtreme Bluetooth portable speaker if you truly want to bath in a bassy wonderland and looking for a solidified audio experience from a portable sound delivery system.